I have to start with a few confessions here. One: This may be the farthest thing from “real food” that will ever grace these pages. Two: Making homemade conversation hearts is about ten times more cutesy than I am in real life. Three: Even though I’m trying to play it cool, I secretly had so much fun making these with my three year old. 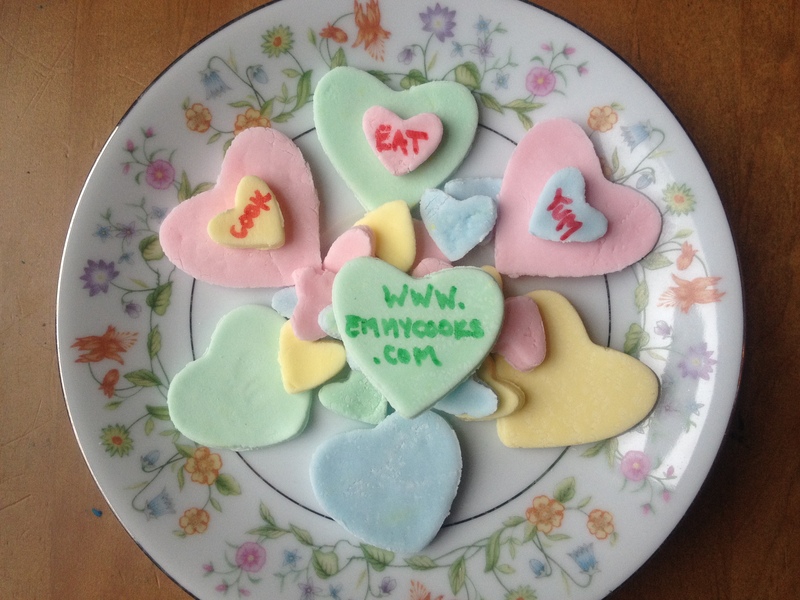 There are, I suppose, a few good reasons to make your own Valentines Day conversation hearts, especially if you happen to have time to kill and an enormous quantity of powdered sugar on your hands. The boxed kind have no fewer than five unrecognizable ingredients. They taste awful. And they say things like “text me” these days. Wouldn’t you rather personalize yours with a message like “Marry Me” or “I think we should just be friends”? Easy peasy. Enter homemade conversation hearts. I have quite a fondness for the CakeSpy cookbook Sweet Treats for a Sugar-Filled Life, which inspired this wacky project. And it was easier than I thought it would be. Please note that if you are going to get crazy and make these, you should start ASAP. 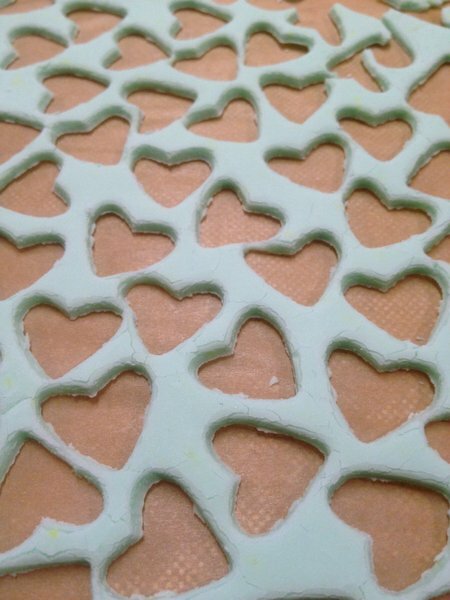 The hearts need to dry for 24 hours before you can write on them. DIY Conversation Hearts start with a small bowl, in which you combine 1/2 c. water, 2 tsp. light corn syrup, and 1/4 oz. powdered gelatin. Whisk well, microwave for 30 seconds, then whisk well again. 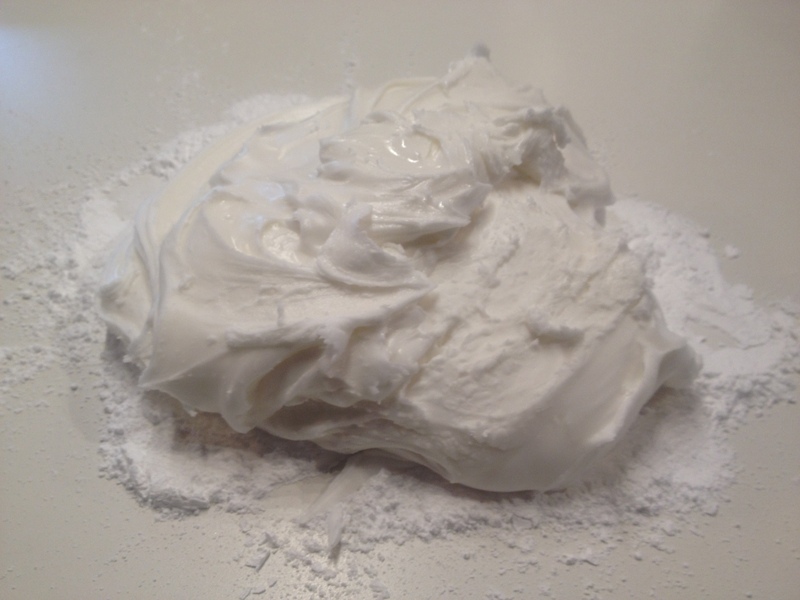 Dump mixture into the bowl of your mixer with 1 c. powdered sugar (in case you’re shopping, I used almost 2 1/2 lbs. powdered sugar in all). Turn mixer on low and slowly incorporate 2 lbs. powdered sugar, scraping the bowl down occasionally. Turn your sticky dough out onto a surface heavily dusted with MORE powdered sugar and knead like bread dough, adding more powdered sugar as you go, until the dough is satiny rather than sticky. 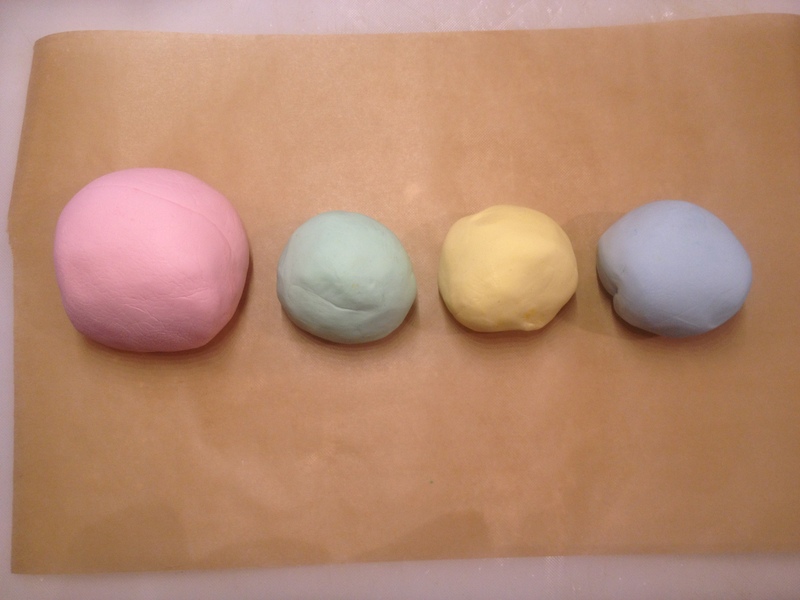 Divide the dough into as many colors as you want, and knead a few drops each of food coloring and flavoring (I used almond extract) into each ball. This step is messy; I lined my counter with parchment paper to avoid staining. I also added more powdered sugar as I worked in the liquid color and flavor. 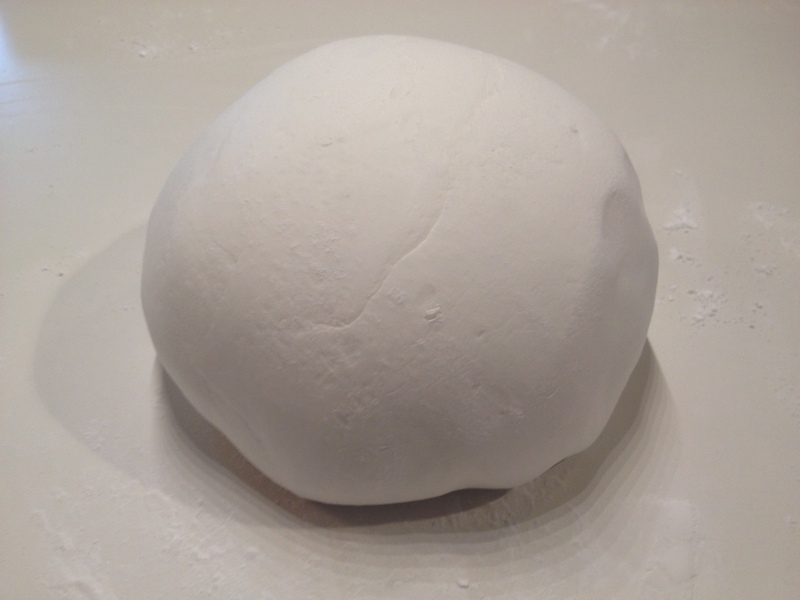 Roll the dough out 1/8-1/4 inch thick. 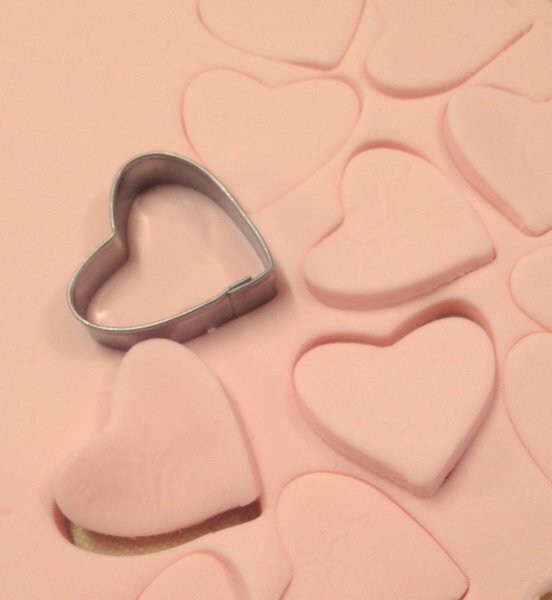 Use heart -shaped cutters (I used a set of fondant cutters) to make tiny or almost-tiny hearts. (Smaller = more realistic. Bigger = easier to write on.) Pinch the scraps back together and re-roll. The original recipe said it would make 100 hearts, but it actually made a gazillion. Really. More than 500. Let the hearts dry on parchment paper for 24 hours, then use food coloring markers (like Gourmet Writer Food Pens) to ink the hearts with Valentines messages that express your own true self. If that means writing “text me,” so be it–at least the recipient will know that you really mean it. This entry was posted in Desserts, DIY, Feeding Kids, Vegan or Would-Be-Just-As-Good-Vegan and tagged conversation hearts, cooking, dessert, DIY, family, kids, lifestyle, recipes, Valentines Day, vegan, vegetarian on February 10, 2012 by emmycooks. OMG that’s a lot if hearts! Very cute! This is fantastic! Your photographs are amazing too! It’s true: those boxed conversation hearts taste like chalk. Flat out awful. And the messages on them are always a little strange. But do they really say “text me” now?! Wow. Thanks as well for the tip to plan ahead because it takes a day for them to dry. Good advice. I just had a quick question: you say to roll them out to about an 1/8th or a 1/4 inch thickness? Can you make them thicker? I assume that it will take longer for them to dry in that case . . .
And the addition of almond extract. Perfect. You could make them thicker. They definitely will take longer to dry, but I kind of like the softer texture of the thicker ones, and I think that the surface would dry enough within 24 hours for you to write on them. I love that you wrote that this is “ten times more cutesy” than you are in real life. It’s still a clever, homemade idea in the DIY-cooking spirit, though, so that’s something! :) …although that is a LOT of powdered sugar– wow.